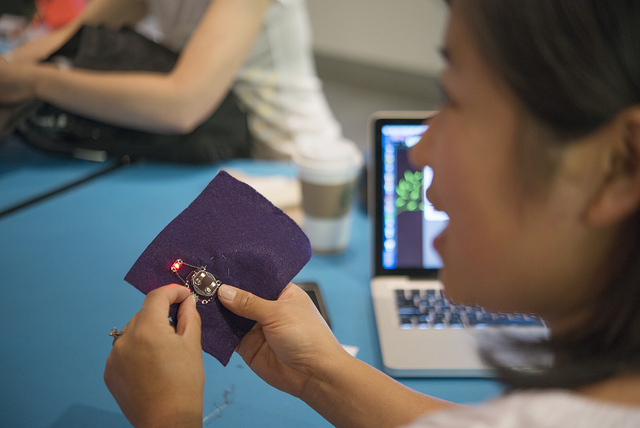 Wearable electronics can be one of the most fascinating yet frustrating activities for beginners. 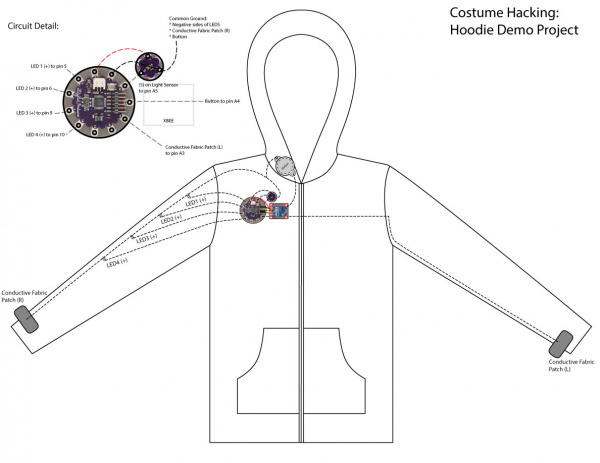 In addition to circuit design and coding, we also have to take into consideration the construction time involved in sewing, and the pros and cons of different fabrics or materials to which the circuits may be attached. 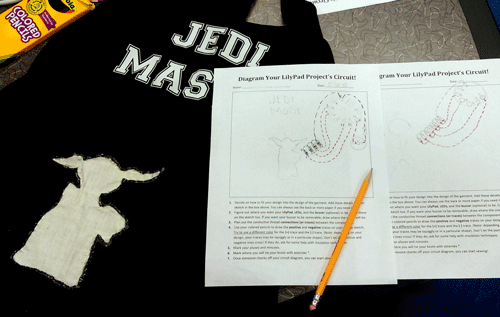 Here’s a guide to planning a successful project with LilyPad or other wearables products. It's very easy to dream up a fantastically complex project beyond your personal capabilities, especially when starting out with a new technology. Planning and sketching out your ideas will help give a sense of scale and time needed to complete your project. If you are brand new to wearables, why not try adapting an existing project from one of our InventorSpace Classroom Projects, or starting with a smaller project that may take a few hours versus a few weeks to complete? Is it delicate, stretchy, thin? You may need reinforcing material such as interfacing so components don’t pull loose or move on the fabric. Hiding components under layers or linings will keep the “magical” quality of the circuit whereas building on top of a costume can incorporate the boards as decorative elements. Experiment with decorative accents such as beads, sequins, or buttons to strategically hide components and make them blend in. If using decorative items with a metallic finish, coat in clear nail polish to avoid accidental shorts in the the thread or components. After gathering the materials and components planned during brainstorming, it is time to prototype the circuit. 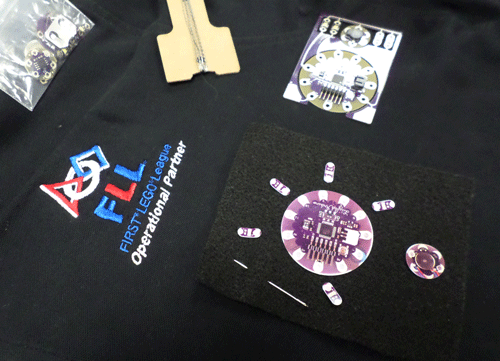 To avoid the frustration of sewing things together only to find out they don’t work the way you planned, we recommend using alligator clips to temporarily connect LilyPad components and then testing the circuit and/or code. If using a product that comes in Protosnap form, such as the ProtoSnap LilyTwinkle, LilyPad ProtoSnap Plus, or LilyMini ProtoSnap, you can skip the alligator clips since the boards have traces connecting them. If adding additional sensors or pieces to a Protosnap board, use alligator clips. If you are using a microcontroller, now is the time to start writing some code (or adapting some example code). A basic framework for your project’s behavior or interaction completed before build time will help with any troubleshooting later in the process. 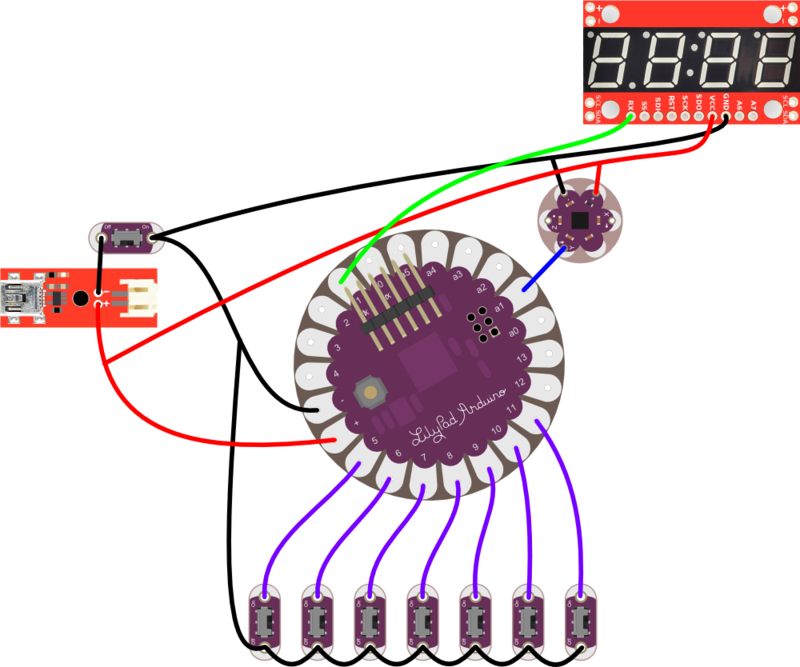 Keep in mind that you can always go back and refine or edit your code once the project is completely sewn together as long as you leave the connection point (FTDI headers if using a LilyPad Arduino) easily accessible in your design. Now that we have all that pesky planning out of the way, it’s time to build a project!